This is completely in line with a Bloomberg report last night that claimed only chunks of Pebble were being sold to Fitbit, namely its intellectual property, software engineers, and testers. Designers and other staff will be let go and current products (and all other assets) are, according to Bloomberg, expected to be sold to pay the shuttering company’s debt. And that leaves Pebble’s loyal customers out in the cold. While Pebble’s Kickstarter note ends on a happy note of gratitude to its many loyal customers, those customers are, in fact, royally screwed. “One-to-one Pebble support is no longer available” and “any Pebble currently out in the wild is no longer covered by or eligible for warranty exchange.” This means, no matter when you purchased or received your Pebble device, you are on your own—and if your device dies, you’re simply out a device. Any warranty you might have been promised from Pebble directly is void. (If you didn’t purchase from Pebble, but from a site like Amazon, you may still be able to return the product for cash or store credit.) You can also expect to see zero software support (or updates) going forward, despite Fitbit’s acquisition. If you took part in Pebble’s recent Kickstarter, which launched on May 24 and raked in nearly 12.8 million dollars, and you have not received your product, then you are, again, screwed. As of today Pebble will no longer be shipping devices. Pebble 2 backers who haven’t received a device won’t receive one. The Time 2, Core, and Time Round, originally intended to ship last month and later scheduled to ship in January 2017, are completely canceled. Pebble promises those smartwatch-less backers will receive a refund, which is great! They deserve a refund! However those refunds will take place through the Kickstarter system and aren’t expected to be completed until March 2017, nearly a year after many backers dropped their cash on the project. And that, more than the loss of cool tech and the the honoring of warranties, is the real kick in the pants. Pebble, essentially, bamboozled 12.8 million dollars out of its customers and then sat on that money for the last 6-7 months. Worse the company wasn’t up front about the rumors and its own reported demise, instead leaving backers twisting in the wind for the last week, surreptitiously updating the expected ship dates for products that it had good reason to know it might never be able to ship. This isn’t just a major blow for the already dying smartwatch market, it’s a blow for crowdfunding in general. Pebble was one of crowdfunding’s most notable successes, and its continued reliance on crowdfunding for each product launch suggested that we were seeing the beginnings of a new kind of business plan, where companies could be supported by their fans rather than angel investors. If Pebble, one of Kickstarter’s biggest success stories, can fail so spectacularly then why should a consumer put trust in any of the smaller crowdfunding campaigns out there? Just when it was looking like at least some crowdfunding could be trust, Pebble has proven that you jut can’t. Invest in the crowdfunding future at your own risk. 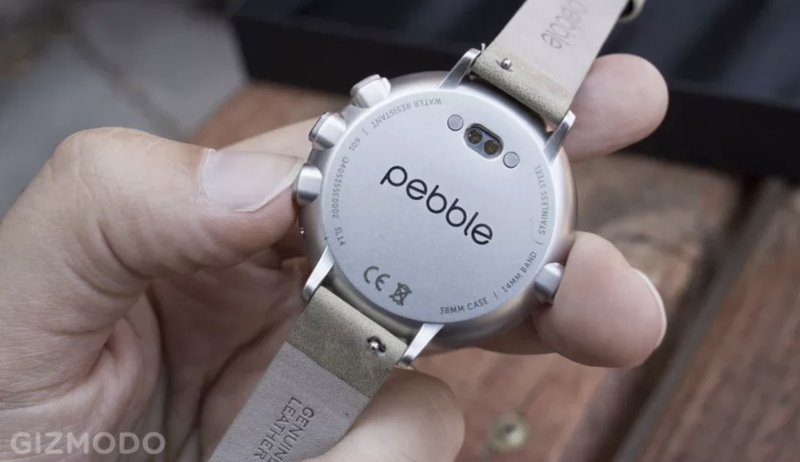 We reached out to Pebble for comment, and we’ll update if the company responds.